Don’t Take Down the Confederate Flag. Yet. Don’t pull down the flag until you pull down racism. Don’t pull down the flag until you pull down discrimination. Until you pull down prejudice. Do these things first. Don’t pull down the flag before you pull down the blue wall of silence. Until you tear down the circumstances that force police officers put in dangerous situations to make broad generalizations about someone running down the street. That is: don’t take down the flag until you take down a media that profits off of fear, that causes us to fear black neighborhoods. Don’t take down the flag until you take down the real estate and tax practices and cultural discomfort that create “black neighborhoods in the first place.” Before you remove the flag, remove brokers and landlords who steer minorities away from white communities or only rent to white people. Before you hail the decision to take down the flag, make sure everyone can freely hail a cab at night. Don’t remove the flag until you remove white standards of beauty. Before the cultural winds blow away the Confederate flag, let them blow away those “depressing clouds of inferiority” forming in a black girl’s “little mental sky,” as Dr. King Jr. described. Before you take away the Confederate flag, take away the notion that “state’s rights” is more important than human rights. Take away the institutions that have created little confederacies all across the country. Do you think this issue is a southern one? Visit a majority black school and a majority white school in the north. That has come to mean, mostly: visit a poor school and wealthy school in the north. Witness the dearth of opportunities, witness the masked caste system in which we operate in the north. Witness a black school located in a white village, but the white villagers send their kids to private school for a (wink-wink) better education. Before you pull down the flag, pull down the idea that we should take pride in our historical crimes and human failures. Before you take down the flag, take down false assumptions. During an in-studio segment on News12 New Jersey, reporter Sean Bergin took a moment from his objective reporting about a fatal cop shooting in Jersey City to opine on the culture of black antipathy toward authority. He doubled down to blame that antipathy on the scarcity of fathers in the black community. Take down our criticism of the black antipathy toward authority–about missing fathers–and start building an understanding of where that antipathy (if it even exists in large scale) originates. Then look up at the Confederate flag and get some idea. Most importantly, don’t take down the Confederate flag yet, because it’s an empty gesture. It lets these conditions and the structures and institutions that have led to these conditions off the hook with an easy and meaningless act. Those who want change in America will be able to hoist their hands in the air like they did at Obama’s election and overstate the claim of progress. 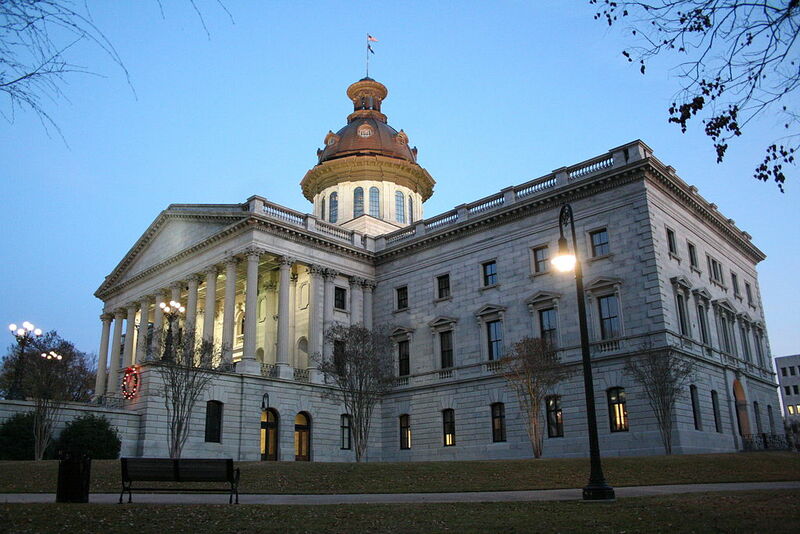 Those trying to cling to “traditional America” can point to the empty flagpole rattling in the wind in South Carolina and overstate the claim of compromise. Don’t let the south, don’t let the north, don’t let America get away with simply removing a piece of cloth from atop a building. There comes a time when–and as a writer who lives on symbolism and metaphor I’m aware I might be putting myself out of business–but there comes a time when symbols just aren’t enough.